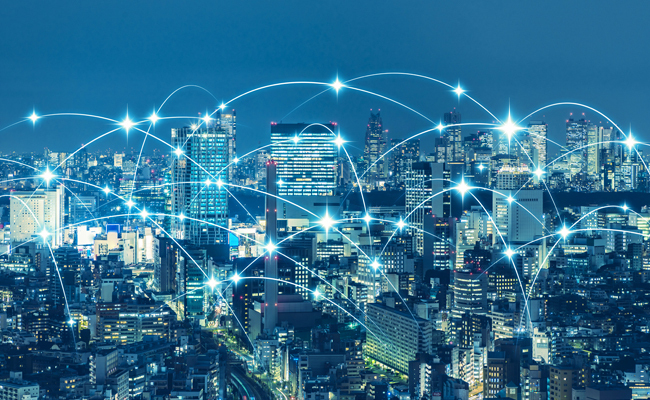 If your business is looking to incorporate the application of software-defined networking in a wide area network (SD-WAN) into its daily operations, there’s never been a better time to do it! Before worrying too much about the use of SDN (Software-Defined Networking) technologies to connect different parts of the business to the wireless network, however, you need to ensure that the right platform is in place – and it starts with choosing the right telecoms provider. Although it would be easy to think that all SD-WAN services are the same, the truth of the matter is that the variance between one provider in the next can be vast. As such, only the best telecom companies will suffice. The harsh reality is that a poor choice of telecoms service can negatively impact reliability, security, productivity, and value for money. Ultimately, then, you owe it to yourself to get things right at the first attempt. With so many options to choose from, mastering the global SD-WAN deployment may feel like an almost impossible task. As long as the business focuses on the top SD-WAN vendors, things should be fine. Some vendors are naturally better than others, and focusing on the biggest and most trustworthy names in the industry is crucial for any business wanting to unlock the full potential of SD-WAN. Take a look at the top 11 telecom companies to discover which is the right option for you. AT&T is one of America’s largest telecoms providers, and was one of the first to start supporting global businesses with their SD-WAN needs. Their reputation and size make them a fantastic option for companies of all shapes and sizes. With a choice from four deployment options – Network Based, Over The Top, Static Network Based, and Static Over The Top – on offer, tailoring the SD-WAN to your requirements is easy. Second only to AT&T in terms of revenue, Verizon Communications is another huge American conglomerate that serves thousands of businesses with their telecoms needs, with SD-WAN becoming the main feature of their service in recent years. Verizon’s SD-WAN offerings are highly adaptive, which is particularly useful for startups and other companies that expect to grow over the coming months and years. The German giant, which is part-owned by the German government, joined the SD-WAN party in 2017 with the introduction of its rapidly deployable Network Function Virtualization(NFV) solution. It has quickly become a firm favorite in Germany and further afield. ‍Deutsche Telekom’s service is stereotypically efficient and reliable while it can be provided by the internet, ethernet, or a combination of the two. The Comcast Corporation’s SD-WAN deployment is focused primarily on offering speed as well as the ability to manage the entire situation from a single screen. This has made the American company a particularly popular option for that craving efficiency of time and costs. A carrier-grade Comcast Business ActiveCore SDN platform offers a hybrid solution while the digital-ready architecture can overhaul the existing facilities with stunning results. CenturyLink is another major American telecoms corporation that now has several years of SD-Wan deployment experience under its belt. In addition to being reliable and secure, the SD-WAN supports excellent scalability opportunities that are ideal for growing ventures. Through managed and co-managed solutions, businesses can embrace a low-risk WAN transformation that opens the door to improved networking across the board. The Indian provider’s approach to SD-WAN deployment is heavily based on flexibility. This is underlined by the option to utilize a hybrid solution as well as the possibilities to upscale with minimal fuss. The centralized control system additionally offers intelligent routing. ‍Tata Telecom serves thousands of business clients in India, North America, and Europe. The virtualized network solutions support companies on a 24/7 basis. NTT offers SD-WAN services via MPLS, Ethernet, Local Internet, Broadband, LTE/4G in over 190 different countries, and is trusted by businesses of various sizes from a range of different industries. The secure gateways and excellent reliability make them a great choice for all. Aside from keeping your business well connected via the range of network options, the real-time network analytics allow for multi-dimensional visualization and an improved UX. British Telecom is one of the world's oldest and best telecoms companies while their global presence is particularly huge too. As far as commercial operations are concerned, their Cisco-powered SD-WAN services have established their place amongst the market leaders. The encrypted network offers great scalability and personalization. Crucially, its ability to integrate with other services and keep the company connected to the network is telling. China Telecom’s SD-WAN network routes traffic to the centralized data center with fantastic reliability, which is why it is used by thousands of companies across Asia as well as many others from further afield. As a 21st-century company, they are in touch with the most advanced tech. The ability to access public data clouds and automate adaption to real-time to bandwidth demands can transform the company’s approach to SDN technologies forever. The Spanish multinational telecoms provider entered the SD-WAN market in 2017 and uses over 90 years of tech experience to offer an affordable solution for a reliable, scalable, and secure approach to incorporating SD-WAN. Powered by Nuage’s virtualized network, Telefonica also offers a hybrid SD-WAN solution that also incorporates MPLS. While it initially launched on the domestic market, it is now internationally available. Singtel uses ConnectPlus Software-Defined WAN services to connect thousands of businesses to their individual networks, routing data back to the data center with fantastic reliability. This centralized approach allows changes to be rolled out across the network in real time. Network visibility is enhanced with live reports while applications are prioritized based on network behaviors and resources for a highly functional solution. How can FieldEngineer.com help telecom companies in SD WAN Deployment for their customers? While selecting the right platform is an essential ingredient in the recipe for success, it’s not the only crucial element to consider. To unlock the full potential of the SDN technologies, you’ll also require the support of an experienced and professional SD-WAN technician. This is where FieldEngineer.com can help telecom companies and clients alike. Our global on-demand marketplace connects businesses to telecom engineers, including those that specialize in SD-WAN technology. They provide cost-effective installations that are designed to increase revenue and productivity across the network. 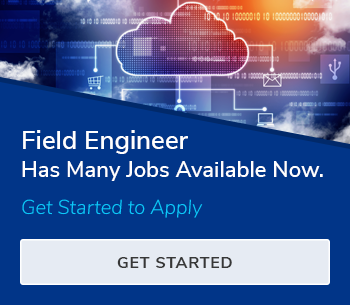 Furthermore, all engineers at FieldEngineer.com are certified technicians that have gone through all necessary background checks. Whether you’re a telecom company or a business client looking to incorporate SD-WAN technologies, FieldEngineer is here to help. Why SD-WAN Adoption Is Increasing Rapidly?